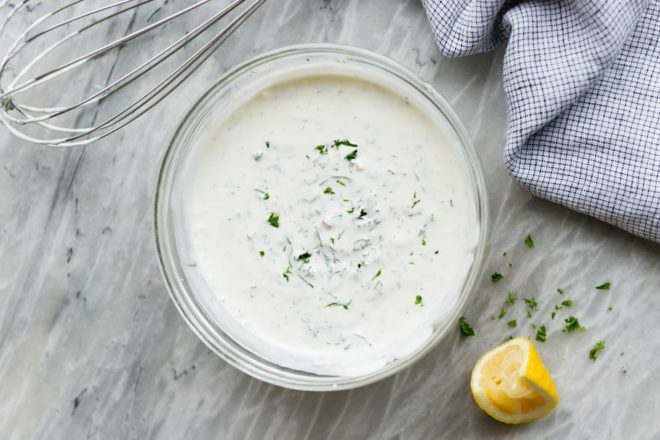 This is THE Homemade Ranch Dressing you’ve been waiting for your whole life. Thick, creamy, tangy, and full of fresh herbs! Store-bought? Never again. I am one of those weirdos who love ranch dressing on everything. E-V-E-R-Y-T-H-I-N-G. Salads – yes obviously. But burgers? Pizza? Bread sticks? Pasta salad? Yes, yes, yes, and yes. I’ve never really been a fan of the ubiquitous bottle of Hidden Valley Ranch. Those seasoning packets of it? Sure, on crackers or in taco soup or wherever. 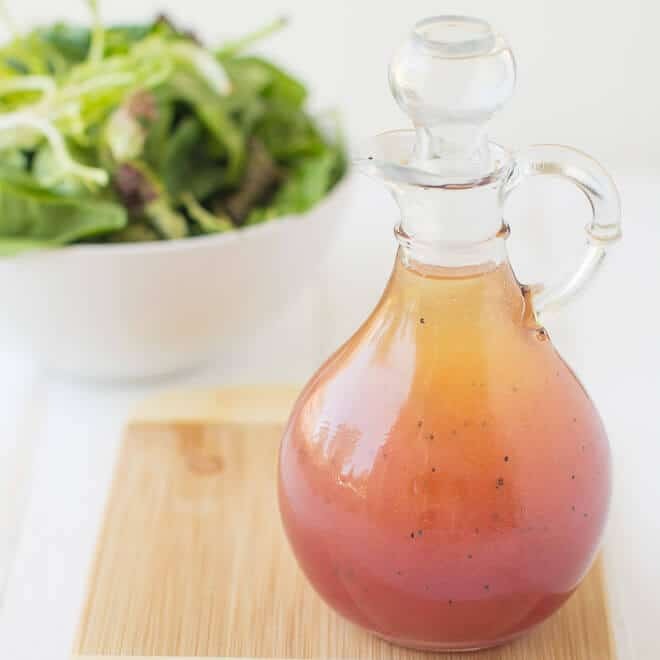 But as a salad dressing? It just has all the wrong flavors. How do you make your own ranch? The secret is this: Fresh buttermilk. 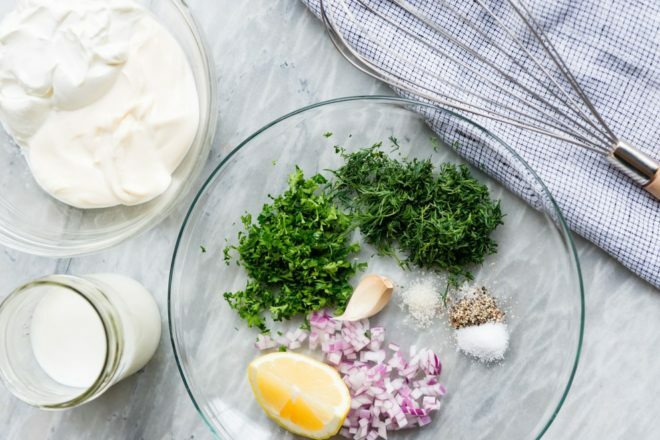 To fresh buttermilk, add mayonnaise, sour cream, plenty of fresh herbs, garlic, and some s&p (salt and pepper). That’s it! What are the herbs in ranch dressing? 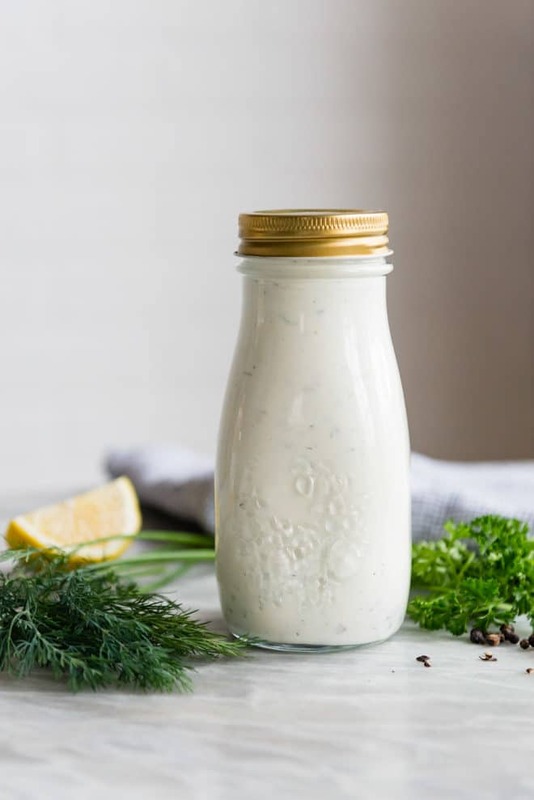 Homemade Ranch Dressing contains fresh dill and fresh parsley. I also add red onion, lemon juice, garlic, salt, pepper, and a pinch of sugar. It’s better because I can make it whenever I want and I can make as much as I want. And I can eat it with anything, and I’m not in a restaurant where people can judge me. I LOVE the little containers of everlasting-powdered-buttermilk , but don’t use that here. Use the real buttermilk from the milk section at your grocery store. The Knudsen brand comes to mind. Save the buttermilk powder (totally a great, legitimate product!) for all your baking needs. Where did you get that bottle? Looking for the bottle in the picture? You can find it on Target.com or on Amazon.com. 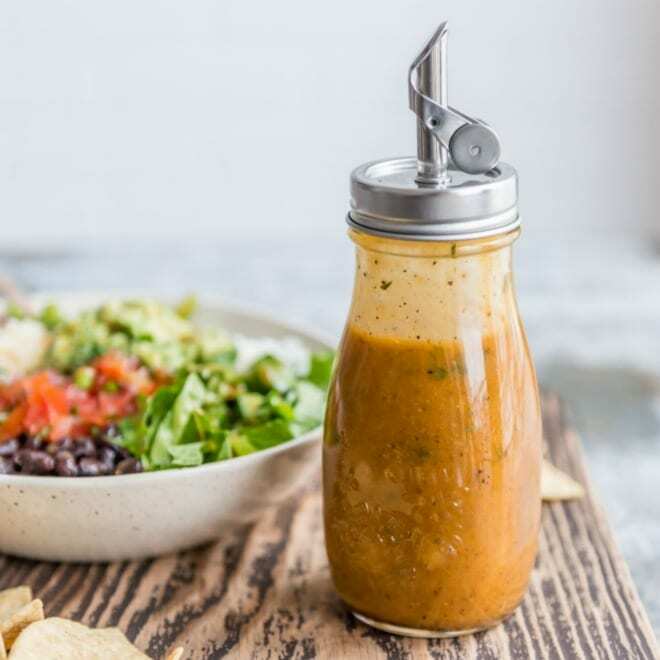 This is THE Homemade Ranch Dressing you've been waiting for your whole life. 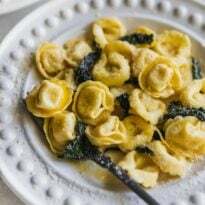 Thick, creamy, tangy, and full of fresh herbs! Store-bought? Never again. 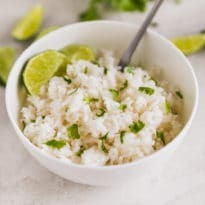 Combine all ingredients in a bowl and whisk until smooth. Refrigerate at least 10 minutes to blend flavors. Whisk to recombine before serving. Hi Amy! 4 days in the refrigerator per standard CDC guidelines for leftovers. It’s possible it would last longer, maybe a week, and if separation occurs you can just shake or stir to recombine. However, I feel most comfortable saying 4 days. Thank you! 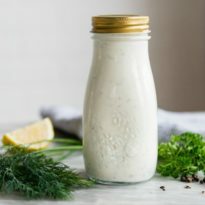 Is there anyway to make this “LITE” low-cal home made Ranch dressing? Where did you get that jar that looks like it would fit canning lids? Hi Hope, here it is on Target.com! $2.99 as of today (2/13/19). Hello Meggan, Do you happen to have a Delicious Copy Cat Orange Chicken Dressing from Cheese Cake Factory or one that is similar? I love there Orange Chicken Dressing. I order there Chicken Littles and toss them in the Orange Chicken Dressing. It’s Delicious!!! There Chicken Littles are spicy with a Cajun seasoning. Really Yummy! I’m going to make your Cajun seasoning and your Homemade Ranch Dressing.